Empower 2 Self Ligating Braces are the right choice to help you achieve your perfect smile and can help make wearing braces a more positive experience. Empower braces feature self ligating technology, which uses a clip to hold your arch wire in place instead of traditional rubber bands (ligatures) that can stain and wear out over time. 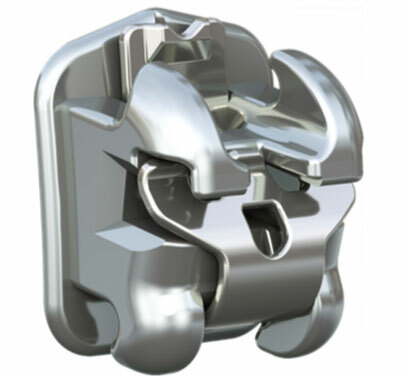 These clips allow for quicker, easier wire adjustments, which can mean less time in the orthodontist’s chair. Empower is designed with your comfort and your orthodontist’s treatment goals in mind. Each Empower bracket is built to the highest standard with leading edge, high performance technology. No ligatures means a potentially quicker and cleaner experience. Ligatures are prone to discoloration, need to be frequently replaced, and are a leading bacteria trap. specific needs without using a one-size-fits-all approach.